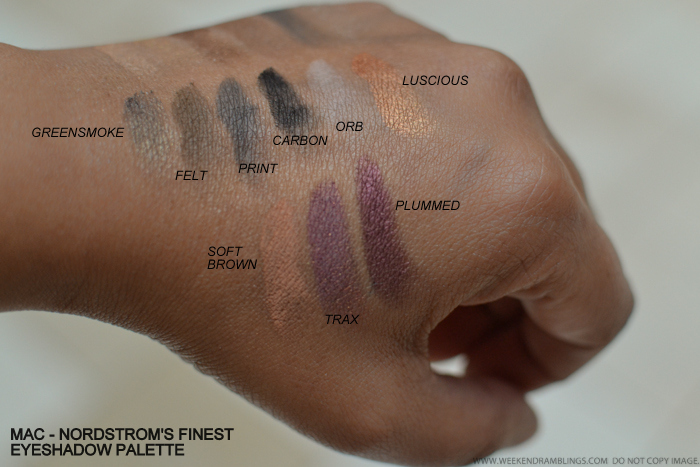 Overall, I think the palette is an okay deal, especially for the price. 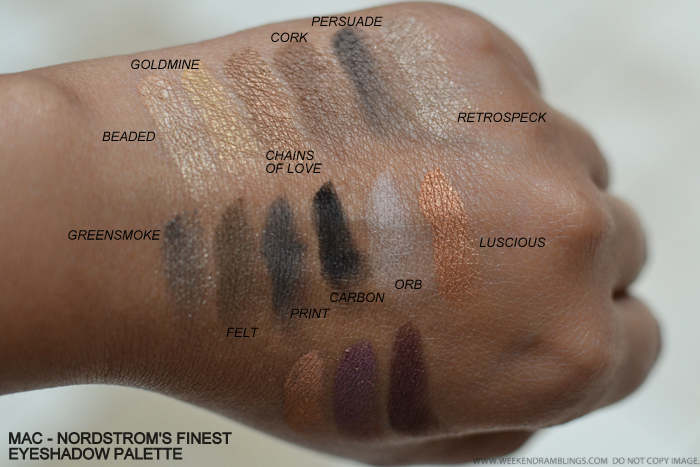 Most of the shadows seemed to swatch well with a few exceptions here and there (Greensmoke, Carbon, Orb), but they all do seem like they will perform well on the lids. 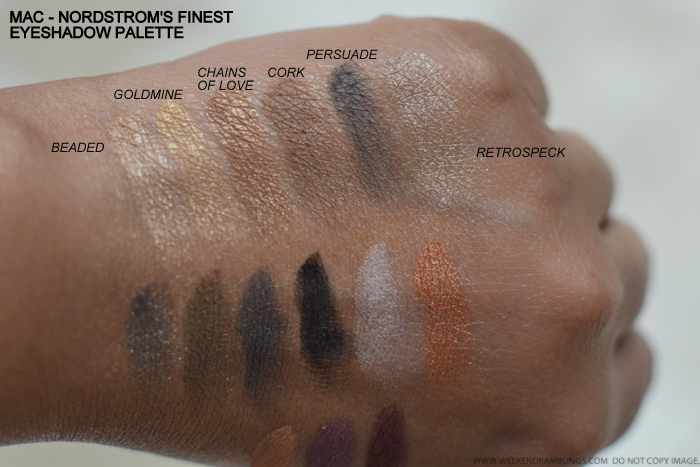 The are a lot of very wearable colors in this palette, especially if you are looking for everyday neutrals, while still having a couple of darker shades in there for a smokey eye or a more vibrant eye makeup look. 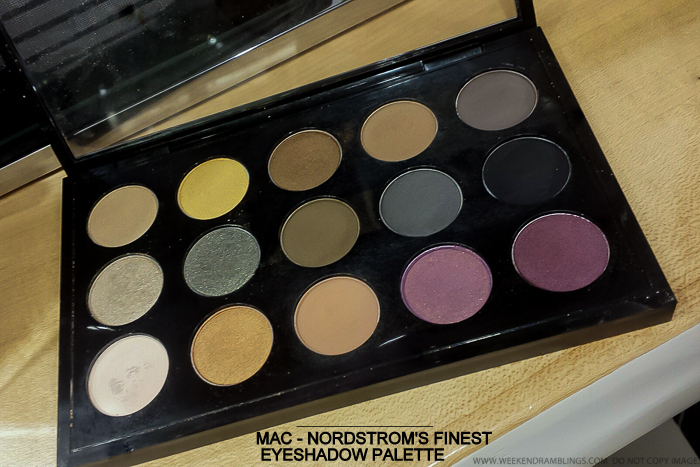 If you love neutrals and/or want a decent MAC eyeshadow palette for much less than what it would cost to make your own custom palette, then I would definitely suggest giving the MAC - Nordstrom's Finest Eyeshadow Palette a try. Links provided in the post are for information only and are NOT affiliate/sponsored links. I am extremely grateful for all the shares and link love I get for my posts, but please do not copy/download images from the blog and repost on your social media channels or blogs.